Still need a summer vacation? Plan your visit to the Walt Disney World Resort and take advantage of our exclusive offers. You choose your savings. 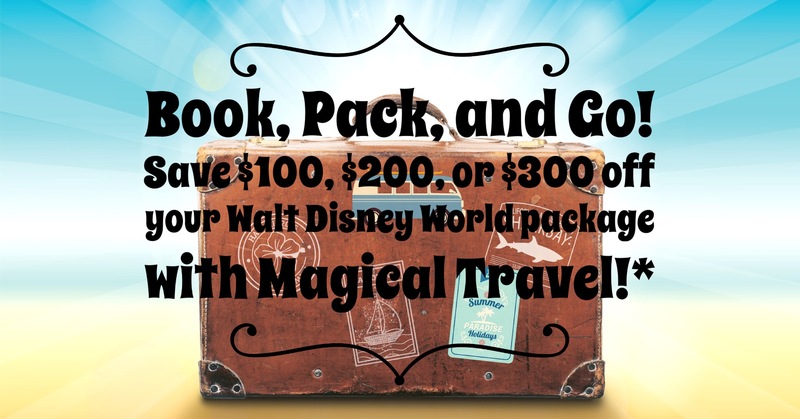 Book your Walt Disney World Package with Magical Travel and Save! 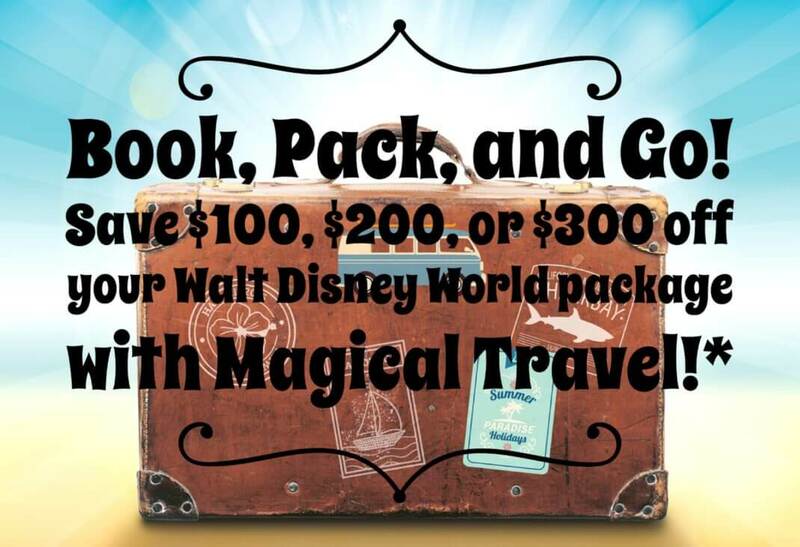 With so much to see and do at the Walt Disney World Resort now is the time to- Book, Pack and Go! Stay right in the middle of the magic! *Book a minimum 4 night stay at a Value Resort with 4 day hopper tickets and the Plus Dining Plan and get $100 off. Disney’s Value Resorts offer the magic and service of Disney Resorts at a great value and include all the benefits of staying at a Disney Resort Hotel. *Book a minimum 4 night stay at a Moderate Resort with 4 day hopper tickets and the Plus Dining Plan and get $200 off. Disney’s Moderate Resorts offer uniquely themed environments inspired by places near and far. They’re the perfect combination of value and amenities. *Book a minimum 4 night stay at a Deluxe Resort or Deluxe Villa Property with 4 day hopper tickets and the Plus Dining Plan and get $300 off. Disney’s Deluxe Resorts offer the highest level of quality, convenience and personalized service set in captivating surroundings with full amenities. With special benefits and legendary service, Disney Resort hotels complete your Disney vacation experience. Hurry before this offer passes you by! –Travel dates- now through September 30, 2017. You MUST complete your travel by September 30, 2017. 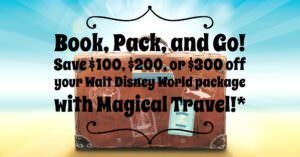 –Can be combined with current Walt Disney World offers.